Radish ‘Kiva’ (Raphanus sativus 'Kiva'): growing, planting, caring. An early variety - and kid’s favourite ! Early, fertile heirloom variety, grown for spring harvest and ready for harvest in 25-30 days, outside and inside green houses. 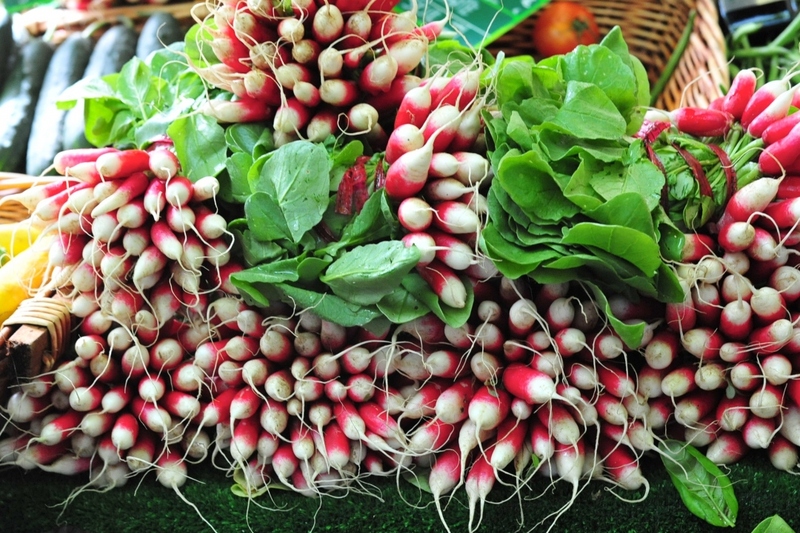 Radishes love exposure to the sun where they will grow better, but they also accept partial shade. They need a light and cool soil, of any kind, provided that it is loosened enough. The sowing period varies according to the type of radish and the moment that you with to harvest! The period starts as soon as mid-February and under protection for "forced" radishes, and continues from March to September for every month radishes, and from June to August for summer, autumn, and winter radishes. In October, it is still possible to plant "forced" radishes under a plastic tunnel. But the real good period is when you have planned to stay home for at least 3 weeks! Radishes don't handle drought very well and go to seed or even better, become "hot"! Thus, sow at a time when you can watch over them and give them water regularly if needed. In loosened earth that has been freed of rocks, trace 2 centimeter deep grooves, spaced about 10 centimeters from each other. Sow your seeds, mixed beforehand with some sand to more efficiently distribute them. Cover with a think layer (about 1 centimeter) of potting soil and tamp down properly. Vary, from one sowing to another, the spots: don't keep one place for them permanently as these vegetables suffer from always being cultivated in the same place. You can sow them with carrot seeds. The association is beneficial.